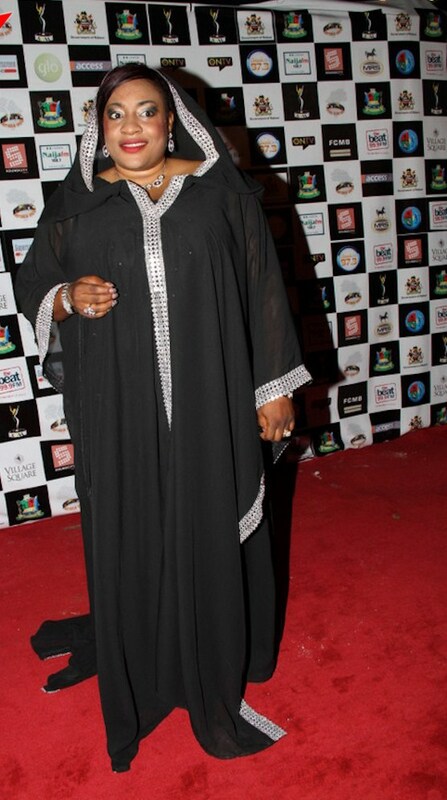 Alleged husband-snatcher Foluke Daramola was spotted on the red carpet of African Movie Academy Award on Saturday night in a very bizarre bubu gown. Though her choice of dress surprised many, the pregnant woman made a fashion statement. It’s obvious she is mourning her scandal.. Isn’t it? She allegedly snatched a pastor’s husband last year and the Redeemed pastor has vowed to leave her to God for the right judgement. The naturally endowed actress is in her third trimester. Rita Dominic Vs Ibinabo Fiberesima On The Red Carpet..The Best Dressed Goes To? Wish u Foluke Save delivery and happy marriage in ur 2 husband. Disgusting 4 a red carpet.